Abby loved David all her life. Growing up they were inseparable. When he joined the Marines she did too. After leaving the Marines, she returns to the family ranch in Montana hoping to heal her shattered heart. On a ride into the foothills she sees something glowing in the side of the mountain. 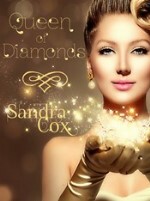 When she goes to investigate she discovers a fist-sized sapphire that turns her already fragile world upside down. Maureen Sinclair has a secret that could rock the modern world. More than just a charming antique set with unusual stones, the band she wears on her forearm is an ancient amulet with healing powers. . 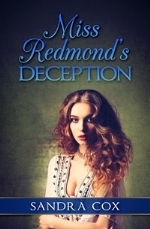 Her world is turned upside down by danger and betrayal when two men discover her secret. One is a scholar. One is a madman. Now Maureen must fight for her life and that of the man she loves while protecting that secret. Isabella Tremaine's credo is always look your best even when you're running from the bad guys. Bella is the possessor of a primeval amulet empowered by the gods with creativity and beauty. And the spunky blonde has an abundance of both. Unfortunately a madman has discovered Bella's secret and is determined to gain possession of the amulet, even if he must kill her to do so. It will take every wile in Bella's formidable arsenal of tricks to outwit the megalomaniac who is after her. 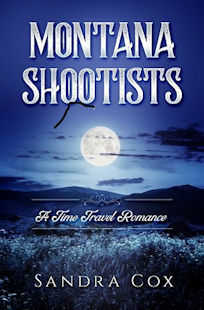 At the same time as the madman is trying to steal her amulet, a ranch hand is trying to steal her heart. 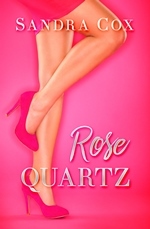 Bella is determined not only to stay alive but to keep her size-five stilettos footloose and fancy-free. Book Three in the Amulets series but may be read as a stand alone story. Sabina Comte has two passions — singing and Adam Morelly. One has brought her fame and fortune. The other just might get her killed. Sabina possesses a power amulet given to her by the gods. Megalomaniac Victoria Price not only wants the amulet, she wants Adam as well. Killing Sabina would give her both. If dealing with Victoria isn't enough, Sabina discovers Adam's uncle belongs to the mafia. She becomes increasingly suspicious of Adam when he keeps showing up right after someone's tried to kill her. Sabina begins to wonder if Adam and his uncle know about her amulet and are after it too. But even doubt and suspicion cannot alter the growing attraction she has for Adam. When he is badly injured, Sabina puts her heart on the line and races to his side, determined to save him. She is about to find out if love will send her careening toward the celestial heavens or plant her six feet under. Caught in a downpour, Gabriella Bell enters a trendy little shop and discovers a crystal ball in which she sees the face of a hard-eyed stranger. 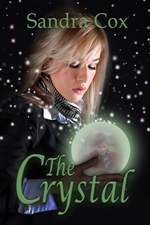 Drawn by a force she doesn't understand she buys the crystal, unaware she is purchasing stolen property that belongs to the aunt of a premiere cat burglar known to polite society as Christopher Saint and to the underworld as The Tiger. She soon discovers that not only does the handsome, hard-eyed stranger want the mysterious globe but so does a beautiful ruthless jewel thief who will stop at nothing, including murder, to possess Christoper and the crystal ball, Unfortunately, Gabriella is standing in her way. Gabriella discovers the road to true love isn't just rocky, it's downright dangerous. In the 1870s Brandon Wade is driving a herd of longhorns over the Chisholm Trail when a youth appears out of nowhere riding a magnificent black stallion and packing a deadly looking six-gun. In need of trail hands, Brandon hires the young man. Not until weeks later, during the middle of a terrible stampede, does Brandon learn that his young sharpshooter is a beautiful woman. A woman full of fire and passion whom he burns to possess. A woman steeped in mystery who refuses to disclose her past. When Captain Richard Greyston encounters three figures in a graveyard, he takes them for a spectral visitation until he realizes it is two young ladies—in their nightgowns, no less—and their spinsterish companion. A spinster with slender limbs and an enchantingly velvety voice.